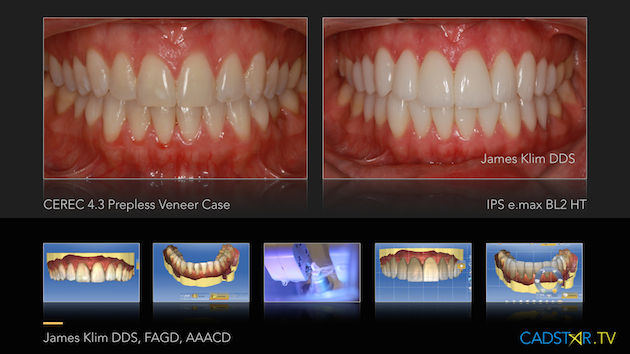 Completed a prepless veneer case with 4.3 SW. Milling algorithms have been optimized so milling can be accomplished with minimal margin thickness of 0.1 with marginal thickness parameter at 120. No chipping. Final thinning of margins are completed after crystallization with the Green Meisinger polishing wheel on the JK03 lab kit. Principles taught in hands-on course: Mastering Anterior CEREC Aesthetics- click here for dates.